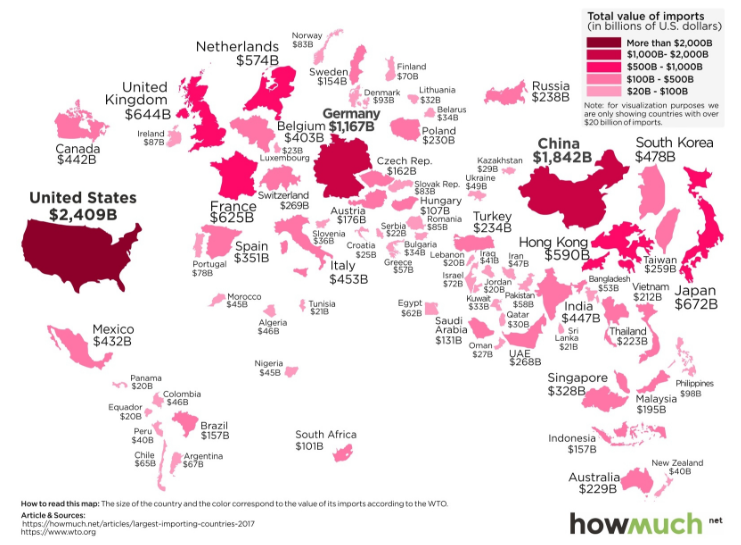 It’s those that import the most goods – and today’s infographic shows the world’s largest importers in 2017, according to recently released data from the World Trade Organization. The United States takes home the number one spot with $2,409 billion of imports in 2017, about 13.4% of the global total. It’s worth mentioning that this is $860 billion higher than the country’s exports in 2017 and that the difference between the two numbers is the hotly-debated trade deficit.